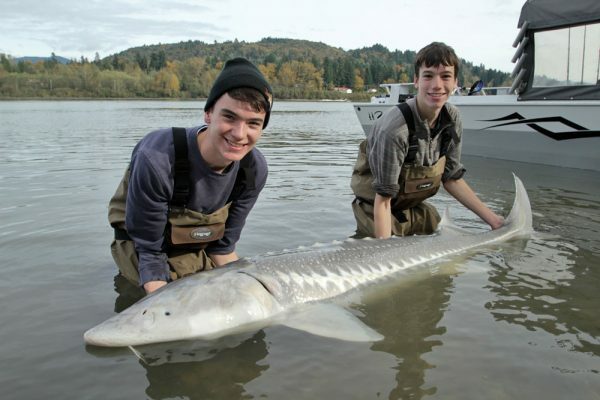 Chilliwack is proud to have welcomed young fishing duo of ‘Carl & Alex Fishing’ from the UK. These two fishing enthusiasts came to Chilliwack with adventure in their eyes and fishing on their mind, filming their entire, unforgettable experience, from hook to finish. “After deciding to travel to Chilliwack for ten days, we did not really know what to expect but as soon as we landed, we knew we had come to somewhere special. The scenery was incredible; big mountains with snowy peaks, massive valleys with beautiful rivers and streams running through them – a fisherman’s paradise”, said Carl. 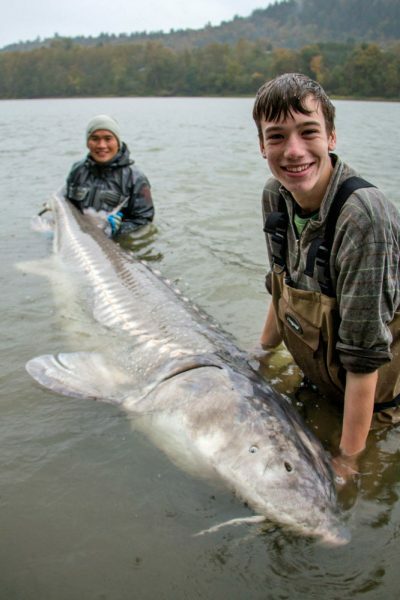 Carl and Alex caught a 9’11” giant sturgeon and claim that the big sturgeon was a once in a lifetime experience. “There is nowhere in the world that we could catch a fish that big in freshwater! Since we are avid film makers as well as fishermen, we captured the whole experience on camera and will share the video on our YouTube Channel”, said Carl. Beside the gigantic sturgeon, Carl and Alex were also able to experience the productive fall salmon fisheries in Chilliwack by catching their first ever coho and chum salmon. Rod, from Fishing with Rod, first communicated with Carl and Alex when he discovered their YouTube channel and recognized that they are aspiring fishing videographers. This year, he decided to invite them to Chilliwack to collaborate on a video project for the whole world to see. A special thanks to Rod from Fishing with Rod, a local fishing expert, for hosting and organizing Carl & Alex’s adventure to Chilliwack. At the forefront of the sport fishing industry are many champions who welcome guests from around the world to ensure their adventures are unforgettable. Carl and Alex will never forget their stay in Chilliwack. Watch their recent video as they captured their entire experience from hook to finish!